The software giant has snapped up one of the hottest VoIP startups from the jaws of Google by paying twice as much as the search engine giant in cold hard cash. 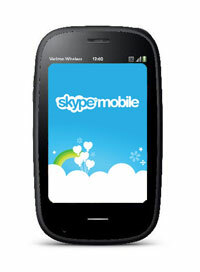 Skype was on the verge of going public when Microsoft and Google entered a bidding war over the VoIP king. Android users have one less reason to gripe about Skype as the VoIP king has given the green light for 3G calling upon their Android app. Previously Skype only allowed WiFi calling for their Android devices which was odd seeing as their official iPhone app could make 3G phone calls as well as WiFi. Surprisingly Skype did not update any their corporate blogs highlighting this new ability, although they did note the change upon Android Market. With the inclusion of 3G calling upon Android Market, Â it looks like Skype is ending their practice of playing carrier favorites with users (although the Android app is still lacking when compared to its iOS brother). Note: Unfortunately video calling over 3G isn’t listed as a feature for Android (is video calling even available for Android? ), although hopefully the company will add that feature soon (so yours truly can video chat with his Droid loving relatives). 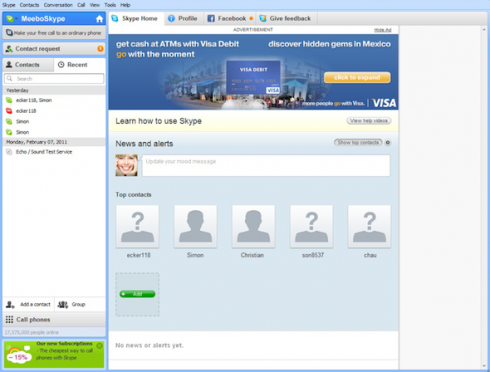 Will Skype Ads Pay Off? In an attempt to help monetize their platform, the VoIP king is launching ads upon Skype and is even leveraging their relationship with Facebook in order to empower users to share the ads with friends. While including ads may help Skype off set the cost of providing free video chat services for millions of users, the question is will their service pay off? Skype’s plan on placing ads upon the home screen instead of on top of conversations is great for Skype fans, but it may not benefit advertisers as users will probably spend most of their time in the “conversational area” of Skype (unlike the home page). Unless Skype was able to present some kind of “Groupon like” deal of the day, I fail to see how these ads will receive an abundance of user attention outside of Skype fans closing the ad out of annoyance. Although it’s great to see Skype putting users ahead of advertisers, hopefully the company an adopt a strategy that benefits users and advertisers in order to help pay for their free video chat sessions. Skype Courts Palm Pre 2 On Only One Carrier? For those of you who have not given up on webOS, you’ll be delighted to hear that Skype has finally released an app for Palm Pre 2 fans. Unfortunately they are once again playing favorites with select carriers, which means a large number of Pre fans will be out of luck. Palm Pre 2 fans upon other carriers attempting to download Skype will be greeted with a friendly “Skype is not available for your phone” despite the fact that they run the same exact mobile OS. Skype isn’t saying when their app will be available for the rest of the Palm Pre tribe, but hopefully the company will consider exiting Verizon’s walled garden lest they lose out customers to rivals like Google Voice. Note: If anyone has any tips/hacks for porting Skype to Palm Pre 2 fans on other carriers, feel free to enlighten us in the comment section below! In what has probably been one of the worst downtimes in the history of Skype (perhaps rivaling that of even Tumblr’s outage), it looks like the VoIP king is slowly bringing its services back online. While this outage could not have come at the worst time (during the holidays nonetheless), it looks like loyal customers will be compensated for the outage that has affected millions of users. Itâ€™s taken some time to do, but weâ€™re making steady progress. To put things in perspective, there are now around 16.5 million people online on Skype around the world. This is about 80% of what weâ€™d normally expect to see at this time of day. Weâ€™ve stabilised Skypeâ€™s core functionality â€“ IM, audio and video â€“ but it will take longer for us to restore offline IM and group video calling. Itâ€™s been a tough 24 hours for many of you â€“ and Iâ€™d like to thank you for your patience as we bring Skype back to normal. Skype has yet to reveal how much compensation users will receive (as well as when the credits will role in), but either way it’s good to see Tony Bates (the CEO of Skype) explaining the issue via video to users who are obviously not pleased with the inability to contact their loved ones. The VoIP king plans on updating more users via Twitter (@Skype) as well as blogging, although users can also report problems to @PeterAtSkype (who has been keeping everyone updated regarding the downtime).